Frida Kahlo was born in 1907 to parents of German and Spanish descent, in Coyoacan, outside Mexico City. After contracting polio at age six, Frida also suffered severe injuries in a bus accident. Her time spent in recovery turned her toward a painting career. These experiences, combined with a difficult marriage to the artist Diego Rivera, generated vibrant works depicting Frida's experiences with pain as well as the symbolism and spirit of Mexican culture. Though she died in 1954, interest in her work continues to grow, with museum exhibitions and publications around the world. This biography will introduce art students and adult readers to one of the Latino culture's most beloved artists. 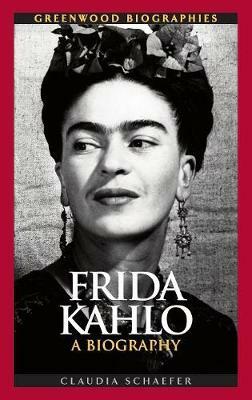 In 2002, the film Frida introduced the artist and her works to a new audience. In 2007, the 100th anniversary of Kahlo's birth, a major exhibition of her work was held at the Museum of the Fine Arts Palace in Mexico. In 2007 through 2008, another major exhibition began its journey to museums throughout the United States.